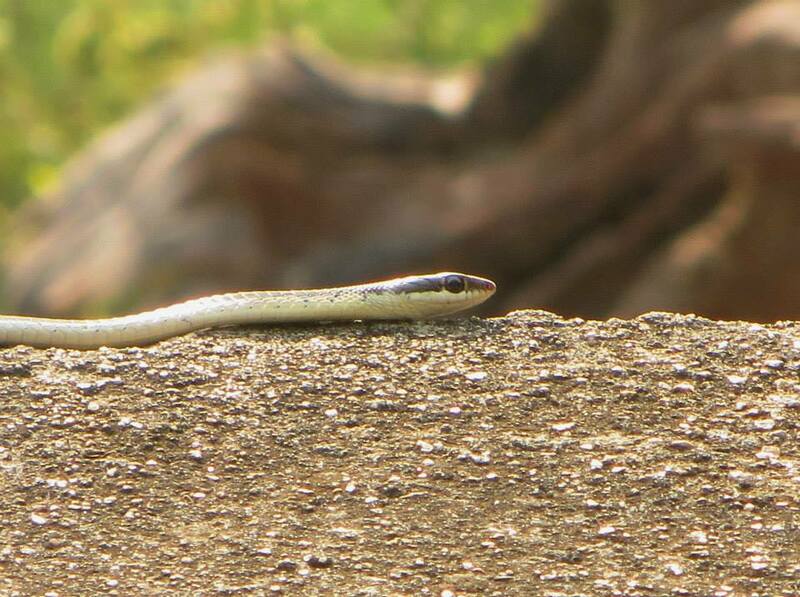 Snakes have a nasty reputation because of widespread ignorance about the nature of equilibrium in the wild. And our impact on the environment. They aren’t superficially considered cute like baby seals or magnificent like tigers either. The truth is that they are beautiful and peace-loving creatures who want nothing to do with us. We don’t leave them in peace though. We take from this planet beyond what we need. We give back nothing. Even animal conservation, in many places – especially third-world countries, is a cruel joke. One that finds its roots in pretentious altruism and the commerce of greed. In reality we treat every other species with utter disdain and disrespect. We barely even respect ourselves, hurting each other over the stupidest of reasons. Yet it the snake that is considered to be an evil force that slithers into households, waiting – with murder in its breath – to sink its fangs into unsuspecting humans. Two years ago, while trekking through a rocky terrain, a friend of mine found the discarded skin of a cobra that looked fresh. He warned me about it and then proceeded to draw a knife. He posed threateningly, tightening his grip on the tiny handle. He was on alert mode in case the cobra “suddenly tried something crazy”. It was one of the most ridiculous things I had ever heard. A grown man experiencing the wild, with a pen knife – ready to protect himself and a friend from a kamikaze cobra that was endemic to the area. A more troubling version of this kind of primal urge has men preying on animals for sport and commerce. This collective insensitivity towards the dignity of life has made it difficult to remain objective about non-vegetarianism as a sustainable form of nourishment. Human-animal conflicts have risen over the years too. Land has become more a commodity than a habitat; it never seems to be available to those with ancient birthrights. Elephants getting mowed down by speeding trains. Leopards being caught in snares found in tea estates. Tigers turning into man-eaters. The conflict has taken a toll on both sides. It is a sad state of affairs without any conclusive solution in sight. If giant bladderworts from space were to invade our planet, it would be neither a cruel nor an unusual end. Until then the best we can do is be respectful of other species irrespective of how idiotically they have been misrepresented by culture and history. And stop compensating for our ignorance with reckless abandon. For those living in the city of Chennai, here are a few do’s and don’ts in case you ever encounter a snake in your locality. 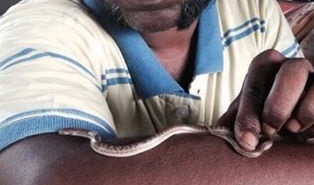 Chennai Wildlife Rescue team does a lot of great work in my city, rescuing all sorts of reptiles, mammals and birds. They comprise Dr Doolittles and trained handlers who really care about wildlife. You can follow their rescue operations on Facebook. i says not one word about ctrl + v. i is innocence! You know, an intoxicated person can relate to it, especially if its someone like me. Hahahha! Oh the changes we would track if we could in our relationships. So clever, Christy. I think I have seen a fat Krait or Rat Snake twice, once slithering in the yard (shudders) and another time, hanging in the tree and trying to eat crow babies. Also, two tiny colourful ones…that no doubt looked very pretty. Oh…yes…I remember this poisonous frog from Discovery…it looks pretty as well!! It all fits in place now! I was this close to a thin black one with yellow stripe stretching across its head. My dog was trying to paw it and it was agitated…:-/ Another one was slithering across when I was taking a walk….Orangish brown with specks. Terrified only that you have LEARNED to be terrified, probably by teachings passed on from some OTHER person terrified of these ones, and so forth it goes. Unlearn that which is unnecessary and break the cycle. There is nothing to fear. Bwahaha in hindsight perhaps so. Copyright dance! ❤ it D, we gonna make milli… NO BILLION paisas! giggles. even tarantino ripped off australian exploitation and blaxpoitation movies D, but at least he gave them credit for it. we won’t. India! Aww the green fella looks astounding! Majestic creatures snakes are. I have always been fond of snake since I was a child, maybe more of awed by them. I may not be awed when I see one close by. But there is a huge degree of respect for them. This post here is awesome! It would knock some sense into people’s head. Oh yes, Vava suresh is a legend. his handling of king cobras is meta-art! it is also a personal goal of mine to at least finish one training module in snake handling by the end of this summer. And thanks comrade for the kind words! not a course, like a sustainable syllabus, there are 2-to-3-day camps conducted by Irula Snake-Catcher Societies, Conservationists and Forest Departments (at least in TN / Kerala) – to my knowledge. Snakes scare and fascinate me at the same time! 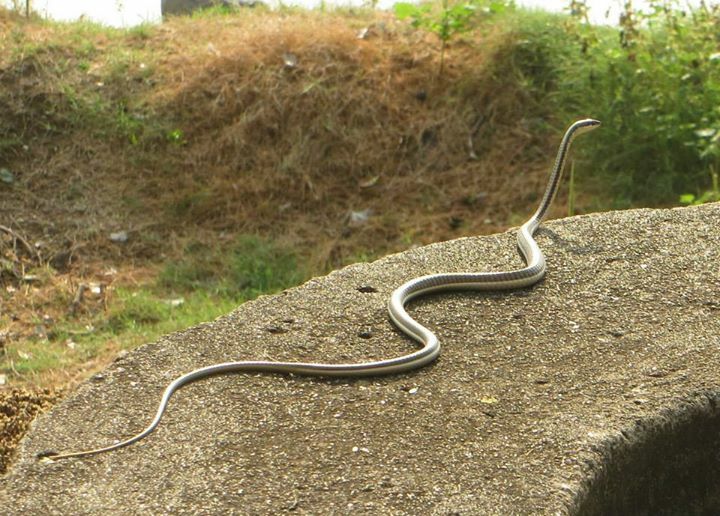 We used to see lots of them in the backyard at my older place in Kothrud, Pune. We would always call Katraj snake helpline. But once, there was a baby one under a trunk and it ended up dying when my mom and a helper boy lifted it to get rid of the snake but dropped it by mistake. And we are a family who walk carefully to avoid killing ants. 😞 my mom fed our half adopted society dog chintu some kheer to repent. Your family should use the Pink Panther theme song whenever you stroll together in slow motion. The tune goes “dead-ant dead-ant dead-antdead-antdead-ant dead-ant”. Sorry. I couldn’t resist. Chintu must be a happy camper. Half-adopted society dog is something he would be excited about being called, I am sure! Stray, you mean? They are the best! The pink panther theme song makes me lol. I was imagining more on the lines of ‘eye of the tiger’. Than-than-than-thannnnn. I have a blog story coming up about Chintu. Sigghh. Hehe yeah or Starship’s Nothing Is Going To Stop Us Now. You are funny. You should wildly whistle the bass lines. I can’t wait to read the Chintu post, buddy. If the serpent had legs, we would be in dire straits and retribution would be forth-coming. I love snakes! We treat them with respect and give them (venomous ones) wide berth. They do their job of checking rodent population which — as history tells us — keeps the plague and other diseases under wraps. We should honor them for this thankless job. Cheers, Christy. I think you did that here! Ha! I think you will like this one. A shaky video taken by my youngest daughter when a SNAKE crashes the party. Fun. (http://wp.me/p28k6D-Z4) You should know that we have snake tongs hanging by the back door. You can even see them in that kitchen photo from a few days ago. THAT’S how much we love snakes! Thanks again Shannon. And I echo your sentiments, city peeps seem to understand so little about equilibrium in the wild, which includes our urban spaces too. Last year I was surprised with a brown snake on my lap, as I flinched to see what it was she rose up and we came face to face. In that moment, everything froze, and we stared into each others eyes. There was no time for fear, it was just basically, ‘hey, well what’s it going to be?’. And after 3-4 minutes of complete stillness, she slithered over my legs and down onto the beach. The fear came later, I vomited. But I still remember her eyes, they were so angry looking. She looks like she means bidness. I’m sure you wouldn’t have regurgitated if she had told you that she wanted to cuddle with you. Also, write about this incident, yes? Soon enough we’ll be hunting each other. It’s strange comrade but with global food shortage and displacement being very real problems in our world, I wouldn’t be surprised. In fact, hunting human beings for (or as a ) sport has been known to occur during war times, especially the Civil war in America and WWII in Germany/Russia. It is extremely sad that the human race fails to learn from the mistakes of the past. Each and every tragedy in the history of mankind has in them, hidden invaluable lessons. Unless we learn them, unless we learn to treat other species with the same importance given to “humans”, the future I see a dim one. true that. the only brightness i can see is the dawn of light in the wild. these concrete spaces can never be oxidized. I’d like to think you re-posted this one for me. 😀 When we were at our farmer’s and I was cutting greens, Bubba yelled over at my kids to ‘get the shovel,’ that he had a 10-foot rat snake and wanted to kill it. From that moment, I told Bubba that if he ever had a snake he wanted to get rid of, to call me and I’d COME GET IT. I would then release onto my property to live instead, where he’s respected. Bubba doesn’t like them because they eat ‘his eggs,’ that is, his chicken’s eggs that HE STEALS from them. Humans are shameless and convoluted in their reason!
! You wouldn’t be wrong at all to think that. When I repost the one about the leeches, you’d know why too. Oh dear me, the Bubbas of the world wound the ways of it. Thank goodness for the Shannons. As you had earlier said so, the effort taken does have an impact. From both sides. Thanks ET, glad you liked it . Rikki Tikki is a fond memory of mine too (will do a mongoose post soon), would have been great if one was the Winnie the Pooh to my Christopher Robin! There used to plenty of common mongooses in my city. But we chased them all away. And now we wonder why snakes are still visit us. To thank us of course! Thanks again buddy! Snakes are just as afraid of us. Once we acknowledge that, they’d look less scarier.